Halloween is one of your employees’ favorite holidays to celebrate in the workplace. For employers, Halloween is a chance to build teamwork and encourage positive morale among employees. Halloween also provides the perfect setting for the families of your employees to see the workplace where Mommy or Daddy spend most days. Family friendships are also a frequent offshoot of families enjoying fun activities together in the workplace. These are a boon for helping you reduce employee turnover. After all, who wants to leave their best friends behind? Halloween celebrations can range from trick-or-treating and crafts with employees’ children to pumpkin carving contests, to adult costume parties with alcohol. They all encourage employee interaction and workplace engagement. They all open the employer to potential liabilities and concerns. In "Why Halloween Hijinx Should Frighten Employers", according to Dennis Donnelly, J. D., "Halloween celebrations in the office also bring their own set of challenges for the employer. 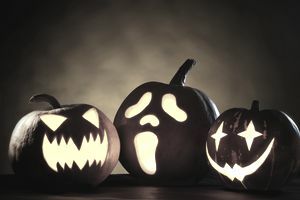 Although Halloween is meant to be a festive day, for some employers it could be more frightening than fun when employees celebrate Halloween in the office." Do make plans to celebrate Halloween in your workplace—but lay the groundwork early to nix the scary aspects. Make the participation voluntary and never pressure employees who may not want to participate. At the same time, make plans and communicate with employees to avoid these four potential problems. Tell employees that they need to make their costumes G-rated and that, while you encourage an employee to get into the spirit of the costume, this does not mean behavior that can be considered hostile or sexual harassment. Professional behavior is expected even when the employee is wearing a costume. Here is a sample note from an employer (scroll to the end of that article to see the sample note). Your reminder note should also tell employees what costume themes to avoid. Steer clear of costumes that demean political parties or figures, show insensitivity to employee religions and nationalities and make fun of diseases such as mental illness. Attorneys remind employers that a discrimination complaint would not be a welcome ending to a happy Halloween celebration. Drunk employees are a problem. They are more likely to commit sexual harassment or create a hostile work environment when alcohol colors their judgment. They are more likely to injure themselves or others. They are even more likely to make fools of themselves by spending the evening throwing up in the restroom or falling off their chair. Even if the employee doesn’t remember what he did in the morning, his behavior will earn him the disrespect of his coworkers. People do talk and gossip about what goes on in the office—even more so about party behavior. Senior managers, who hear about or see the employee actions, are less likely to think well of or promote employees who show poor judgment in a professional setting. Even though parties are supposed to be fun, workplace parties remain work functions—employees do well to remember this. Here is how employers can minimize the impact of serving alcohol at workplace events. Limit the prominence of alcohol at company events and parties to diminish the possibility of employee accidents like falling down stairs or an auto accident on the way home. In this era of marijuana legalization, you may also want to encourage employees to limit their smoking of pot as a part of your pre-party communication. You can celebrate a wonderful Halloween at your workplace. If you plan and communicate with employees in advance of the event, you will ensure the happiness and safety of your employees and limit your legal liability as an employer.